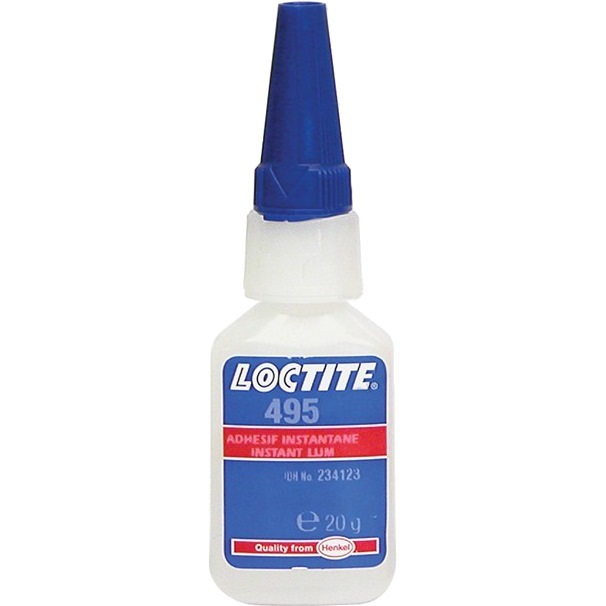 LOCTITE INSTANT ADHESIVE 495 (20GM) is rated 4.0 out of 5 by 1. 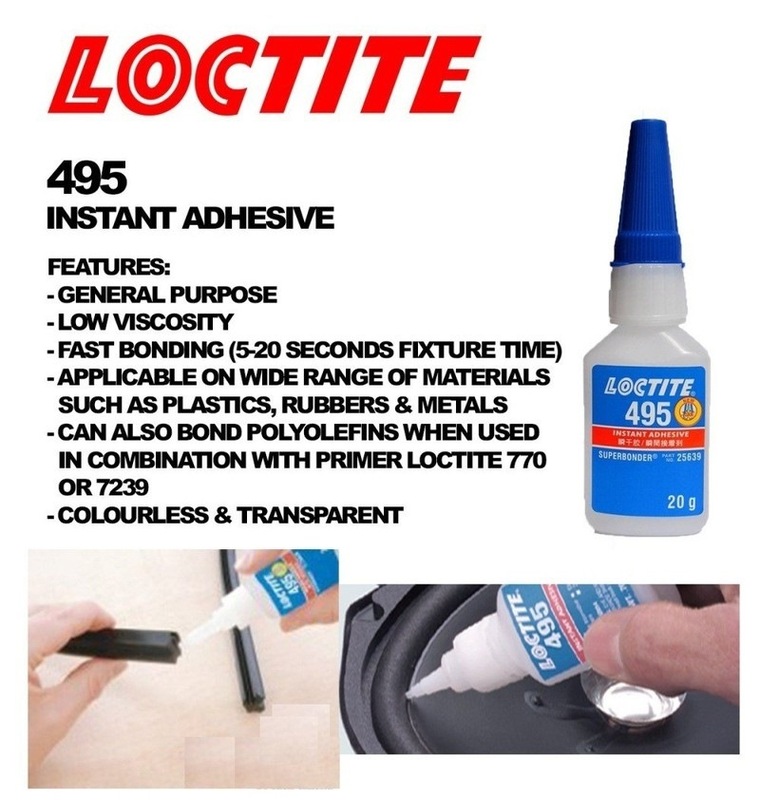 LOCTITE® 495 is a transparent, colorless, low viscosity, general purpose ethyl-based instant adhesive offering fast bonding (5-20 secs fixture time). It is able to bond a wide range of materials, including plastics, rubbers and metals. It can also bond polyolefins when used in combination with Primer LOCTITE® SF 770 or LOCTITE® SF 7239. Rated 4 out of 5 by dexterch from Works well as expected. Cures fast. Used on acrylic pieces. Worked as well as I thought it would. Lower quantity than compared to direct purchase via company but more for consumer use.